Should You Replace Your Roof Before You Sell? If you’re thinking about putting your house on the market, you may be wondering if you can list your home as-is, or if you should shell out the cash to replace your roof. It probably goes without saying that you want to get the highest price possible. On the other hand, it doesn’t always make sense to make major upgrades if you won’t get a good return on your investment. If you’re on the fence about replacing your roof before you list, here are several considerations to keep in mind. 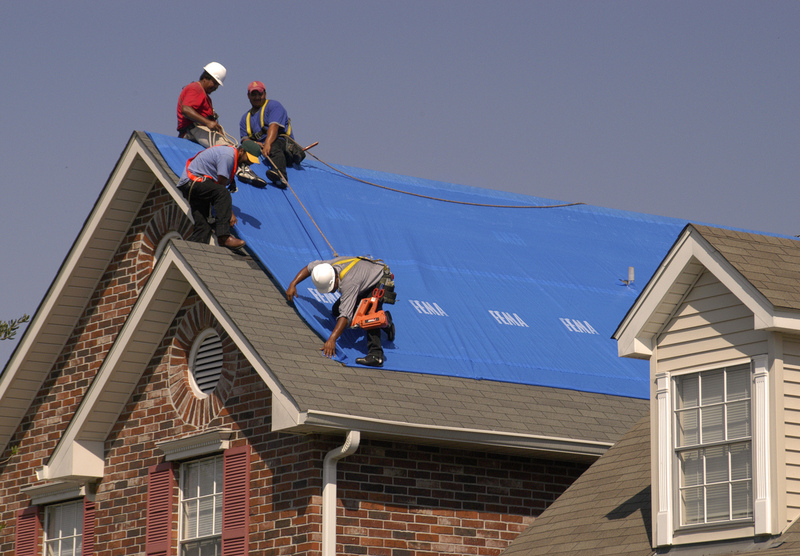 Your first step should be to enlist the services of a professional home roofing expert. While a general home inspector can give you an idea of the roof’s overall condition, a roofing specialist will give you an in-depth report about the condition of the roof, the extent of any damage, and an estimate of the roof’s remaining lifespan. No one wants to spend money if they don’t have to. Knowledge is power, and knowing what you’re dealing with in your roof will help you make informed decisions about what steps to take. You’ll also feel more confident about your decision if it’s backed up by an expert’s opinion. In most states, home sellers are required to disclose known defects to potential buyers. Depending on the real estate disclosure laws in your state, you may be legally obligated to tell buyers about your roof’s condition, including any leaks, mold or structural damage. Ask your real estate agent what types of disclosures you’re required to make, as this could play a role in your final decision. In some cases, the decision to replace your roof is out of your hands. Many lenders won’t approve a mortgage if the home’s roof is failing or in poor condition. For example, FHA guidelines require a roof to have at least two years of life remaining. Home lenders have gotten strict in recent years, and many turn people away if they believe the home is an insurance risk. If you forego replacement, you could restrict yourself to a smaller pool of potential buyers. In many cases, a bad roof is a deal breaker for buyers. When potential buyers see missing or sagging shingles, they wonder what else could be wrong with the house. A tired, worn-out roof gives the impression that the rest of the home is also worn and in need of repair. Few buyers want to invest in a home that could have moisture damage, mold or even structural issues lurking beneath the surface. On the flipside, a new roof design will attract buyers and perhaps even help them overlook your home’s blemishes. This is also why it’s important to work with an experienced roofing contractor. If buyers know your roof was properly installed, they’re more likely to make an offer. A new roof may seem more like a structural fix than an aesthetic upgrade, but today’s roofing designs can dramatically change the look of a home. Owens Corning™ Duration® Designer Colors will make your property stand out in a crowded real estate market. Whether you’re buying or selling, it’s important to have a solid roof over your head. Call Nu Look Home Design today to schedule a free in-home consultation to see the latest roofing designs. Call us at (800) 279-5300 or email at info@nlhd.com.